Don’t skimp on celebrating Mom! She does so much…doesn’t she deserve something special? Make your reservations for Mother’s Day now to make sure she doesn’t have to lift a finger that day! Mother’s Day seatings at this Rosemont restaurant take place from 10:30 a.m.-1 p.m. and 1 p.m.-3:30 p.m. Adults eat for $44.95 and kids 6-12 cost $14.95. The buffet includes an omelet station and a carving station with glazed ham, prime rib, and roasted pork lion. Cold dishes includes salads, Italian meats and cheeses, homemade focaccia, and smoked salmon. The hot buffet features Ancient Roman pancakes, Tuscan toast, Italian eggs benedict, scrambled eggs, sausage and bacon, Tuscan sausage potato hash, whipped potatoes, rigatoni alla vodka, radiatori pasta with chicken, chicken piccata, green bean all’Nicciole, oven-roasted vegetables, grilled salmon, sausage and peppers over polenta, mac and cheese, pizza, and chicken fingers. A dessert table is included, as are coffee, tea, and soft drinks. 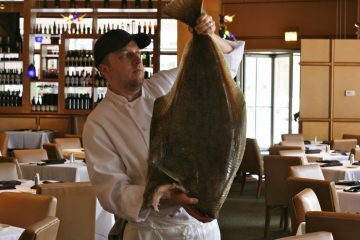 The specials menu at the Naperville restaurant for Mother’s Day includes exciting starters (such as half-shell oysters), fish, surf and turf, and brunch plates. Get braised short rib hash ($17), Catch 35 crab cake eggs benedict ($18), shrimp and grits ($20), grilled salmon skillet ($21), Mexican biscuits and gravy ($18), or Prime steak and eggs ($27). Brunch is from 9:30 a.m.-1:45 p.m.; dinner begins at 2 p.m.
Come to Burbank from 9 a.m.-5 p.m. for the Mother’s Day Brunch Buffet, $29.99 for adults, $15.99 for kids. The menu includes breakfast items such as bananas foster french toast, an omelet station, chilaquiles, cajun potatoes, and a pancake station. Cream of chicken rice and seven types of salad are available. The carving station features turkey, ham, and pork loin. Entrees include smoked chicken, pulled pork, salmon, boiled shrimp, chateau chicken, penne pasta with vodka sauce, and shrimp and chicken fingers. Side dishes include garlic mashed potatoes, sage gravy, mac and cheese, and braised cabbage. Desserts are also available; the regular menu is not available. Combine some Mother’s Day shopping with a special meal at DiPescara at Northbrook Court off Lake Cook Road in Northbrook. Chef Mychael bonner and Executive Chef Carlos Ocampo are offering a special brunch starting at 9:00 am with the regualr menu available after 1:00 pm. In addition to an n excellent meal (a favorite of WCG editor) each mother receives a $25 certificate as their gift. Out in Mt. Prospect, stylish eatery e+o is serving up a Mother’s Day buffet with a whole pig roast and island style BBQ. Cost is $39.95 for adults and $19.95 for children 4-12. The Italian destination is offering a hands-on cocktail workshop and brunch in La Scuola, the cooking school. Classic brunch dishes with an Italian twist are featured by Chef Jeremy Williams. Enjoy a build-your-own cocktail bar and a hands-on cocktail workshop! “Martinis and Bellinis!” takes place place, at 11 a.m. and 2 p.m. Cost is $95. Over 21 only. Chef Emilio will offer Mother’s Day specials at both the downtown location and the original in Hillside. Moms will also receive a special gift. Mother’s Day Brunch here takes place from 11 a.m.-4 p.m. and costs $46 for adults, $19 for children. The event features traditional breakfast fare, a carving station (prime rib, turkey, ham), the 500 North Station featuring classic Gene & Georgetti dishes, a fire and ice seafood display, pasta bar, and kid’s corner (mac and cheese bar, chicken fingers, mini hot dogs, waffle fries). Come to Rosemount for Irish eats from 11 a.m.-4 p.m. Irish breakfast is being served all day, and you can create your own mimosa! Patio is open, and acoustic music will be played. Enjoy a three-course Mother’s Day Brunch in Lincolnshire from 10 a.m.-3 p.m. for $44.95. Start with your choice of appetizers: lobster bisque, a modern Caesar with crisp prosciutto, or housemade burrata salad. 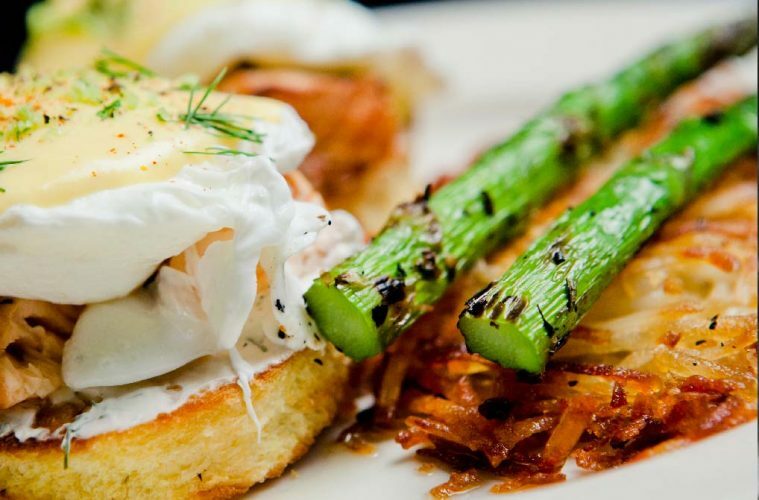 For your entree, pick Flemings’ signature eggs benedict (with filet mignon or crab cake), cinnamon apple brioche french toast, California-style steak and eggs (filet mignon with blistered tomatoes and caramelized onions), or New Zealand salmon cobb salad. Entrees are served with Lyonnaise potatoes and a seasonal vegetable. For dessert, choose a New York cheesecake, creme brulee, or fresh berries and chantilly cream. This cozy place on Irving Park Rd. will feature brunch with turkey and dressing, ham, ribs, beef, chicken, baked fish, pasta, Polish sausage and sauerkraut, sausage and peppers, eggs, bacon, sausage, french toast, pancakes, deviled eggs, and more. This Glenview eatery is featuring exciting specials for Sunday dinner on Mother’s Day. Start with lobster bisque – or Hackney’s Original French Friend Onions, if you prefer. For dinner, choose between a choice filet mignon 7 oz. cut with choice of soup or salad ($23.95), or fried chicken – half chicken served with mashed potatoes and gravy ($12.45). For dessert, enjoy strawberry shortcake – house-made biscuits with Homer’s vanilla ice cream in strawberries and whipped cream ($5.95). Have you considered the culinary offerings of local hotels? The Holiday Inn is offering a buffet for $24.95 if you make reservations, $26.95 at the door. The buffet includes a carving station with honey-glazed ham and prime rib with horseradish cream and au jus, an omelet station, a breakfast bar (eggs, potatoes, bacon and sausage, French toast), waffle station, salad bar, farm-to-market station (roast pork loin, cheese tortellini, salmon, chicken parmesan), sides area, kids’ table, and sweets station. Okay, it’s not a dining deal, but on Mother’s Day, moms get free admission with the purchase of a child’s ticket. All activities are included! The buffet at Level 257 will feature seafood cannelloni, salmon roulade, and herb-crusted pork loin, along with signature stuffed french toast, mascarpone stuffed challah bread with peach and blueberry compote. The buffet is available from 10 a.m.-3 p.m. for $35 for adults and $15 for kids. Don’t forget to save some dough for the video games! The regular menu will be available on Mother’s Day, but a multi-course Mother’s Day lunch menu takes place from 11 a.m.-3 p.m. and dinner is from 4:30-8 p.m. Chef Tony Castillo is also creating an 8-course South American fusion dinner with wine pairings and a cooking demo starting at 6 p.m. for $75 per person. All moms get a complimentary photo with the chef. With locations in Oak Brook, Rosemont, Skokie, and 2 in Chicago, there’s a McCormick & Schmick’s close to everyone for Mother’s Day Brunch. 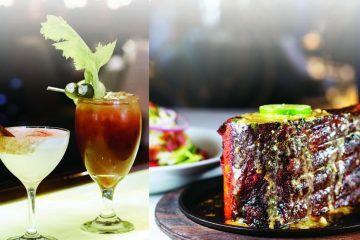 Start with a Mimosa, Bloody Mary, M&S Iced Tea, Patron Margarita, then enjoy meals ranging from Biscuits & Gravy to Egg & Crab Cake Benedict, Bananas Foster French Toast & BBQ Bacon Wrapped Shrimp & Grits. The Mother’s Day brunch-sharing menu at this Mexican eatery allows you to choose four items for the table, with one cocktail per guest, for $30 per guest. Pick from huevos rancheros, huevos ahogadas, tacos de huevo, huevos al gusto, enchiladas, estrellados y tampiquena, chilaquiles, carnitas hash con huevo, pancakes, or pan mexicano. Tacos, salsas, and guacamoles are also featured. Cocktails include the maria sangrita, mango mimosita, margarita, and bloody mary. Treat your mom to a special Steak and Lobster Special for $56 at Morton’s. Enjoy an Irish-themed brunch buffet from 10 a.m.-3 p.m. for $35, $15 for kids. This American-style restaurant in Glenview will feature Mother’s Day Brunch from 11 a.m.-3 p.m. for $24.95 per adult; kids 12 and under pay their age. Expect a made-to-order omelet station and a carving station with grilled beef tenderloin, roasted free-range turkey, and brown-sugar cured ham. The buffet includes smoked salmon, bagels, cream cheese, breakfast potatoes, bacon and sausage, seasonal veggies and fruit, garden salad, Caesar salad, classic sliders, chicken pesto panini, pizza, pasta marina, and honey-fried chicken. Moms get a free mimosa or Bloody Mary. 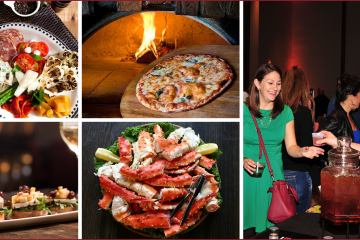 The Evanston steak and seafood eatery features a Mother’s Day Jazz Brunch from 10 a.m.-2 p.m. Expect a carving station, seafood and raw bar, omelet station, sweets table, and more. Performers include Nicole Kestler and Jeannie Tanner. Cost is $49.99 for adults, $23.50 for kids 6-10. A Mother’s Day Jazz Dinner with Amy Yassinger performing is also available. This pizza place from the Malnati family is offering a Mother’s Day package with two pizzas, 8 ounces of Coralee English Toffee, and one free heart-shaped pizza to boot. Shipping is included in the $64.99 price. Saranello’s offers a special Mother’s Day Champagne Brunch this Sunday. Design your own waffles and omelettes, visit the carving table, enjoy fresh seafood, pasta, endless desserts, Mimosas and Bloody Marys all for just $39.95. Children under 12 are half priced. As a special gift, every mother will receive a $25 certificate for a return trip. You’ll find Saranello’s in the Westin Chicago North Shore on Milwaukee Road in Wheeling. All day on Mother’s Day, moms get a free dessert with mention of this special offer. Also, kids eat for $1 every Sunday. Add these two deals together and you’ve got a great day coming! If mom likes beer, she might like a trip to this Evanston hotspot. Along with the regular menu, Smyle Bros. is featuring Mother’s Day specials: housemade ricotta, Michigan honey, pistachios and crostini ($9); butter poached shrimp with lemon risotto and herb/arugula salad ($22); and fruit margarita trifle, key lime panna cotta, strawberry cake, tequila gelee, mango caviar ($7). Out in Wheeling, Tuscany will serve a Mother’s Day Brunch buffet with nine stations from 9:30 a.m.-2 p.m. Breakfast selections include eggs benedict, waffles, pancakes, french toast, sausage, bacon, hash browns, and eggs. The carvery features honey-baked ham, marinated beef strip, and roasted leg of lamb. 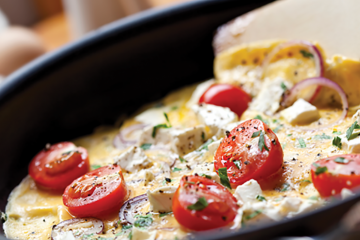 Make your own omelette, or enjoy Italian dishes such as pastas, pizzas, and roasted chicken. Salads, antipasto, seafoods, sweets, and a kids’ cormer are also included. Cost is $44.95 for adults, $19.95 for kids 10 and under. The regular dinner menu is served starting at 4:30 p.m. Reservations are required. Mother’s Day specials at the Lombard, Schaumburg, and Chicago locations include grilled brioche French toast kabobs ($12.50), grilled skirt steak and eggs ($17.50), crab cake benedict ($15.50), brisket benedict ($16), and a kids’ brunch plate of scrambled eggs or grilled brioche french toast kabob ($6.50). Entrees available on the day include spring greens and strawberry salad ($7), grilled sockeye salmon ($30), spring herb-crusted lamb chops ($34), filet and crab cake oscar ($38), and key lime cheesecake ($6.50). Brunch takes place all morning; the dinner menu begins at 2 p.m.